Democratic practice in South Africa assumed wider dimensions with the arraignment of the country’s immediate past President, Jacob Zuma in court. The former South African leader faces corruption and money laundering charges, among others. This is not the first time he is being hauled into court for similar offences. He was first arraigned in 2009, but because of intense politicking and intrigues that played out then, the matter was crippled and set aside. That situation happened before his election as president of the country. Zuma was, however, expected to turn a new leaf while he was in office, but the contrary was the case. He allegedly engaged in serial corrupt practices which rejuvenated memories of the former trial. To make matters worse, the Supreme Court ordered his trial to commence in an appeal he filed to stop his arraignment. Prior to his exit, there were multiple calls by South Africans for his resignation, but the demands were ineffective. 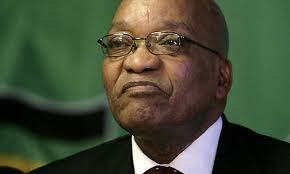 Not even the several no-confidence votes passed by the South African parliament could ease him out of office. He was finally compelled to quit following impeachment threats by parliament and intense pressure from the African National Congress (ANC), his own political party. Zuma’s trial is an indication that South Africa has gone far ahead of other African countries in imbibing democratic norms and practices. The fact that his travails began while he was still president is evidence that there are no sacred cows in that country. It also suggests that there is accountability in governance else Zuma’s case would have been interred while he was in the saddle. Would this have been the case in Nigeria? The scenario in most African countries is entirely different. Putting a former African president on criminal trial is a more difficult task to accomplish than the responsibility of getting a cow to pass through the eye of a needle. Apart from South Africa, Zambia and Egypt are so far the only African countries that have acted in similar fashion. Zambia prosecuted Frederick Chiluba though he was eventually acquitted. Conversely, former Egyptian president, Hosni Mubarak, was tried in 2015 and handed three years jail term for corruption. Brazil, Israel, France and Italy are other countries that have put their former leaders on trial. Immediate past France president, Nicolas Sarkozy, is being prosecuted for accepting $50 million from the late Libyan leader, Col. Muammer Gaddafi, to finance his election. Then as well, a former president of Brazil, Lula da Silva, was jailed of late for accepting a bribe. In Nigeria, there has been sustained crusade for former presidents to account for their misdeeds while they were in office, but such calls have always floundered because the leaders deploy their looted funds to obstruct moves to bring them to justice. Despite the numerous corruption trials in Nigeria, has a former president ever been arraigned in court? Nigerians are still wondering what has happened to the many corruption issues and why the leaders in whose regimes the infractions were committed have been left unpunished. And even when investigations point to such leaders, they are never questioned; rather, security agents go after the small fries. The Haliburton matter is one case which demonstrates that past Nigerian leaders are indeed untouchable. Haliburton is about a bribery scandal involving approximately $180 million with over 70 suspects of different nationalities on the list. While everyone involved in the bribery case had been identified, tried, convicted and jailed by their home governments, (some of whom have completed their jail terms) the Nigerian government is yet to begin the trial of suspects because former leaders are indicted. If nothing is done to bring corrupt Nigerian leaders to justice, including past presidents of the country, proceeds of corruption and moral decadence will remain monuments which the civilised world will continually use to jeer or ridicule the country. Therefore, in the ongoing anti-graft war, all Nigerians must be considered equal before the law regardless of their status. Even if it takes the prosecution of past leaders for the war to be successful, so be it. After all, no nation can attain development through such characteristic treachery.